A new Dutch study of homebirth appears in the forthcoming issue of the journal Obstetrics and Gynecology. Planned Home Compared With Planned Hospital Births in The Netherlands by van der Kooy et al. is large, comprehensive and raises troubling questions about the safety of homebirth. This study is one of many undertaken in the Netherlands to investigate the high perinatal mortality rate. The debate on the safety of home births continues in the literature … In The Netherlands, approximately 50% of women give birth under the supervision of a community midwife. The community midwives are independent health care professionals in The Netherlands operating either solely or in group practices. The proportion of home birth deliveries in The Netherlands has steadily decreased over the last decade but is currently stable at 25% of all births. Several Anglo-Saxon countries are considering the reintroduction of home births based on recent claims of sufficient safety. 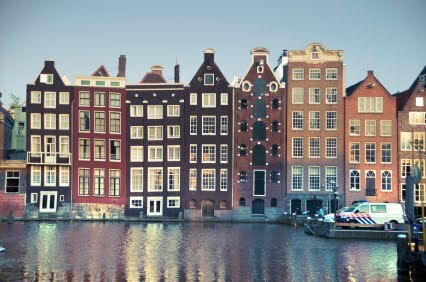 The reverse trend is observed in The Netherlands, where the debate has intensified since the national perinatal mortality rate showed it to be one of the highest in Europe. The authors started with a very large and comprehensive database, and analyzed it in a variety of ways. They started with 679,952 births: all the low risk births attended by midwives from 2000-2007. They looked at the difference in perinatal death rates (defined restrictively as intrapartum deaths and neonatal deaths up to 7 days of age) between home and hospital birth, first by analyzing what actually happened, then by constructing hypothetical groups of patients, all of whom were ideal candidates for homebirth. As primary analysis, we present the results of the natural prospective approach resembling an intention- to-treat analysis. For comparison, we added a perfect guideline approach resembling a per-protocol analysis. The natural prospective approach establishes, within observational constraints, the intrapartum and early neonatal death of planned home compared with planned hospital births. They further analyzed the data by removing deaths due to the “Big 4”: congenital anomalies, premature births, intrauterine growth retardation and low Apgar scores. The decision to analyze the data with these deaths removed is baffling. It’s baffling because it removes patients who received potentially substandard midwifery care during pregnancy (failure to diagnose anomalies and intrauterine growth retardation as well as failure to appropriately refer patients delivering before term) and it is baffling because it removes babies in need of expert resuscitation. This group is of prime concern when investigating the safety of homebirth because it is this group that faces the greatest risk when born outside the hospital. Of note, both groups (real-world and hypothetically perfect) differed substantially by maternal characteristics. Compared with women who planned birth in the hospital or with an unknown location, the women with a planned home birth were more likely to be multiparous, 25 years of age or older, of Dutch origin, and to live in a privileged neighborhood (all of which are favorable conditions). In home birth women, neonatal case mix compared also favorably. Premature delivery was less common as was the prevalence of a Big 4 condition (natural prospective approach home birth 8.7% compared with hospital 10.8% compared with unknown 10.5%; perfect guideline approach home birth 6.5% compared with hospital 8.2% compared with unknown 7.5%, P <001 in both cases). In other words, the homebirth group was much lower risk than the hospital birth group. In the natural prospective approach population, crude mortality risk was significantly lower for women who planned to give birth at home (relative risk 0.80, 95% confidence interval [CI] 0.71– 0.91) … compared with those who intended to give birth in hospital (P <.05). All maternal and neonatal risk factors, except living in a deprived neighborhood, showed significant effect sizes in agreement with the expected direction. Mortality was significantly increased in neonates with a Big 4 outcome, especially in those with multiple Big 4 conditions (relative risk 276.6, 95% CI 240.3–318.3). 3) showed the intended place of birth to be a significant covariable, yet the contrast of planned home birth (odds ratio 1.05, 95% CI 0.91–1.21) compared with a hospital birth (reference <1) turned out to be nonsignificant. The effect of maternal risk factors was affected to a limited degree by the introduction of the Big 4 case mix. The perfect guideline approach yielded similar results. What does this mean? It means that when nothing goes wrong at homebirth, it is just as safe as midwife attended hospital birth. Since complications are uncommon, the overall rates of homebirth and hospital birth perinatal mortality are very similar. However, in the event of an unanticipated bad outcome, homebirth has a much higher perinatal mortality rate than midwife attended hospital birth. … The data from an otherwise very similar country such as Flanders suggest that more favorable results may be expected in low-risk women in general from a hospital-based system. In Flanders, perinatal mortality is approximately 33% less than in The Netherlands, whereas the cesarean delivery rates show little difference. The authors compare their results with other homebirth studies, noting that home and hospital populations differ markedly in risk profile and that any study of homebirth outcomes must correct for these differences. Our conclusions apparently contradict those of De Jonge et al who concluded equal intrapartum and early neonatal outcome of planned home birth compared with hospital birth in apparently the same population… Our principal approach (natural prospective approach) compares neonatal mortality in the actual populations delivering at home compared with the hospital, whereas the approach of De Jonge et al compares neonatal mortality in a hypothetical group resembling our perfect guideline approach population. Homebirth is as safe as hospital birth when nothing goes wrong. But when complications occur unexpectedly at birth, hospital is much safer than home.